In recent years, Lebanon, has become synonymous with the words upheaval, turmoil and crisis. The country has time and again seen numerous political, security and economic crises. More often than not, the three categories have been interlinked and have had a reciprocal effect on one and another. The detriment to Lebanon’s economy caused by the current political stalemate that is blocked the formation of a cabinet created a political stalemate leading to crippling financial effects. The growth of public discontent and dissatisfaction, culminated in workers’ protests and shut down various organizations and institutions. Lebanon is bracing itself for a general strike Friday to protest the worsening living conditions that many people blame on the prolonged absence of a government. 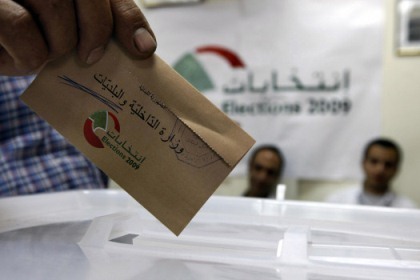 In May 2018, the Lebanese population witnessed their first general parliamentary elections in 9 years. The last time parliamentary elections were held was in 2009. After almost a decade of undemocratic rule it seemed like the masses were finally going to get a fair chance to decide who would run their country. General elections held and the public was allowed to exercise their power to choose who they voted for without any fear of coercion. However, post the elections there was disunity and disagreement among the different political parties regarding how the cabinet portfolios should be divided between them. Historically, Lebanon has experienced sectarianism that became institutionalized in its political structures. The modern result being major political parties divided along religious cleavages including the Christian, Shiite Muslim and Sunni Muslim communities. This constitutionally entrenched power–sharing between different religious groups, also referred to as Consociationalism , was first established in the National Pact of 1943. Some might argue that this National Pact is a major driving force behind the political stalemate as it divided the political parties along religious cleavages, and it is these very parties that are today having a difficult time coming up with a unanimous agreement over the cabinet formation. An argument can be made that the fact that the parties and their voter banks are so distinctly divided along religious lines makes it harder for each of them to compromise on their demands and be more flexible with regards to the cabinet. This is in stark contrast to a system in which political parties prioritize mass appeal to a broader voter bank over sticking to party ideologies that are deeply based in religious identity. Thus, one can formulate a link between the concept of institutionalized religious cleavages and the political stalemate that does not seem to resolve. The Syrian refugee influx in Lebanon has caused Lebanon to become host to “the largest population of Syrian refugees per capita”. These refugees are the responsibility of the UNCHR and the host country, in this case Lebanon’s, government. However a funding gap by the UNCHR and a general increase in the total population of people residing within Lebanese territory due to the refugee influx has is causing a significant degree of economic and physical strain on the Lebanese soil which coupled with the frozen developmental aid threatens to undermine Lebanon’s financial well-being. In analyzing the economic impact of the aforementioned political deadlock, we must also include its negative impact on Lebanon’s already weak reputation in the international market. Political turmoil reinforces the belief that the country is unpredictable, unreliable and an insecure foreign market which discourages foreign investors, firms and companies that are contemplating opening up to the Lebanese economy. Additionally, the fact that the Prime Minister has not been successful in convincing different political fragments to unanimously agree upon cabinet has delayed the state’s access to imperative development aid from a host of organizations and countries. For example, in April 2018 in a conference held in Paris, the international community promised Lebanon 11.5 billion dollars in development aid in an attempt to reconstruct its infrastructure. However, as stated in a Times Now report, the aid was contingent upon Lebanon having a functional cabinet that can take the lead in such infrastructure development projects. Therefore, without a proper cabinet Lebanon cannot access necessary funds. This is particularly important considering the current refugee crises plaguing the country’s already unstable economy. With a government debt to gross domestic product ratio of 156:1, causing it to rank number 3 in the world rankings of government debt to GDP ratio, right behind Japan and Greece, there is a dire need for Lebanon to get its political crisis resolved as soon as possible. The fact the Lebanon is number three on the list of highest ratio of debt to GDP illustrates the low levels of national income that is being generated by the country. This means that Lebanon does not generate enough national income to sustain its population and is therefore highly dependent on loans from other countries and international monetary organizations, which puts it in debt. The fact that Lebanon needs financial assistance to meet the needs coupled with the fact that it cannot access said financial aid without having a functional cabinet, as mentioned above, puts it in extreme jeopardy. does not have a fully functional cabinet or an economy strong enough to adequately sustain the total population, this presents a financial challenge for Lebanon and might cause it to accumulate more debt than it already has. “The country is heading toward collapse … this is what all the politicians are saying,” said Victoria El Khoury Zwein, a co-founder of Sabaa, one of the leading political parties in Lebanon. “What we are saying is that the country is in crisis and therefore we need a government that should be running affairs during this crisis and come up with a quick rescue plan.” Hence Lebanon is in dire need of someone to lead the charge and rescue it from economic dissemination given its insurmountable debt and the chronic refugee problem that has further destabilized the already volatile Lebanese economy. The public discontent has been rising over the past 9 months and it finally seemed to implode when on January 5th 2019, the ongoing political deadlock pushed the Lebanese Labour Union to go on strike .The demonstration was led by the General Confederation of Lebanese Workers and supported by the Sabaa Party. The strike involved a shutdown of the trading port in Beirut, a shutdown of the airport Air Transport Union for an hour or so and the halting of services by the hospital staff at Sidon Governmental Hospital. Some employees from the Electricite du Liban, government hospitals, Middle East Airlines, the Order of Engineers and the National Social Security Fund also stopped working during the day to show support for the strike. Although these protests were aimed at making a strong statement against the falling standards of life in Lebanon indirectly caused by the political deadlock, they can be considered counter-intuitive as Lebanon cannot afford to halt its businesses and shut down its ports, even if for just a couple of hours, given the growing debt the country has to repay off. Hence, despite the best effort of the workers force to somehow serve as the catalyst that brings about political change and reconciliation, the political deadlock over the cabinet still stands and a country such as Lebanon, with a failing economy as illustrated by its debt to GDP ratio, cannot afford to have more shutdowns and workers’ protests. Muhammad Shahzeb Akhtar is U3 student currently pursuing a degree in Political Science and Economics with a focus on International Relations and International Economy and Trade. He specializes in the politics of the Middle East, South Asia and North America.